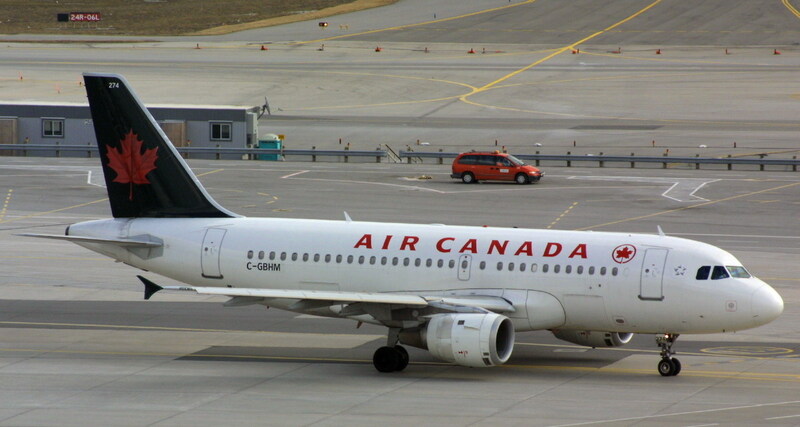 The Transportation Safety Board of Canada (TSB) today released its final investigation report into the January 10, 2008 encounter with wake turbulence involving the Air Canada Airbus A319 operating as flight AC190. AC190 was en route from Victoria, BC, to Toronto, ON, with 83 passengers and 5 crew members. At 06:48 local time, a series of jolts were felt in AC190, followed by a series of rolls. The crew declared an emergency and diverted the flight to Calgary International Airport, Alberta, where it landed uneventfully at 07:28. Several passengers and crew members were injured. TSB investrigators concluded that there was enough separation between the A319 and a preceding Boeing 747-400, flight UA896. But the wake vortices from flight UA896 had not dissipated. The wingtip vortices contained sufficient energy to significantly destabilize the A319 in pitch and roll, which contributed to displacement of persons and objects in the cabin. During the 18-second duration of the event, vertical accelerations reached peak values of +1.57g and -0.77g. Lateral accelerations reached peak values of +0.49g (right) and 0.46g (left) during four oscillations. Some actions to rectify the upset were similar to those that contributed to damage to the vertical stabilizer attachment fittings on flight AA587 in 2001. The Airbus A300 in that event crashed after separation of the vertical stabilizer. The TSB further notes that annual recurrent A319/A320 pilot training at Air Canada did not consistently include reference to the hazards of pilot rudder pedal reversals during upset recovery at high airspeeds. This increased the likelihood that pilots would make inappropriate rudder pedal inputs during upset recoveries.